Gisela Medina at BBVA Quality Funds outlines how her team monitors and selects liquid alternative investment funds globally to support a group-wide approved list under the QF label. 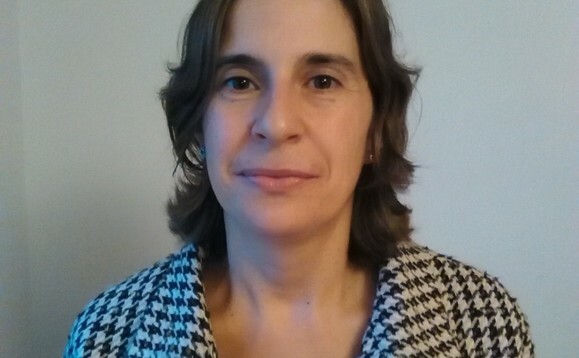 Madrid-based Gisela Medina (pictured) heads a team searching for liquid alternatives, that supports the Quality Funds (QF) unit of Spain’s BBVA. The Quality Funds unit is the BBVA’s third-party fund selection platform acting in the first place as an input filter for the whole group, and which – through an open architecture approach – aims at selecting the optimal investment solutions to satisfy client demands, while avoiding the conflict of interest that could exist if the firm recommended only its own products. There are up to 20 analysts who are responsible for the analysis, due diligence, selection and advisory of third party funds. Medina heads the Analysis and Selection team for Liquid Alternative Funds at Quality Funds (QF), including absolute return and commodity Ucits funds. Through the analysis of actively managed funds, indexes, and exchange traded funds (ETFs) as well as illiquid alternative funds, the Quality Funds’ team generates the fund list that subsequently passes to all BBVA units involved in investment – which includes fund managers, pension funds and private banking, among others. Medina highlights how her team makes use of as many sources as possible when searching out funds for potential investments: specialised data bases, financial software, latest news on the industry, fund forums, and above all, countless meetings with managers. Regarding hedge funds, she admits preferring regulated Ucits funds, since they allow for better liquidity and transparency. When asked about the QF fund selection process, Medina emphasizes that they follow a holistic methodology, in which the three stages of the process are interconnected and become fully understood by reference to the whole. The starting point of the analysis is the operational due diligence that consists of detailed analysis of funds and asset managers, to verify whether they meet QF requirements. In case they do not, this could lead to participation in the funds being vetoed. The second stage is the quantitative analysis, which – based on performances and risk measures – monitors all funds categories globally before ranking them by consistency. The qualitative analysis and third stage, focuses on the investment process encompassing both the fund’s performances and the managers (person) themselves in reference to outcomes. With regards to absolute return strategies, Medina underlines her team’s preferences for those managers offering a flexible and diversified approach. In this respect, she favours equity market neutral funds and CTAs, and adds that her team is also looking with interest at alternative risk premia. Once the team has completed the whole analysis, it publishes the QF selected list that includes a catalog of recommended funds, a list of admitted ETFs, and a third list of illiquid products on which the QF team performs detailed monitoring. Medina explains how most of their clients seem to be particularly interested in those funds that can offer some extra value to their portfolios. “We particularly appreciate a growing interest in alternative investments that offer de-correlated returns and provide greater benefits from diversification,“she said.